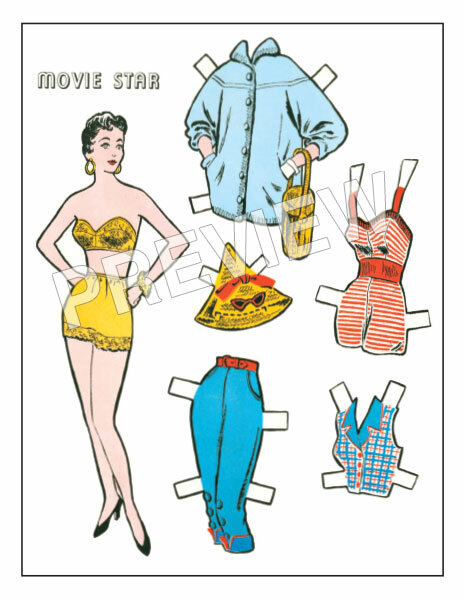 This fun book brings back the days of the 1930s and '40s when newspapers would include a paper doll as part of a comic strip. 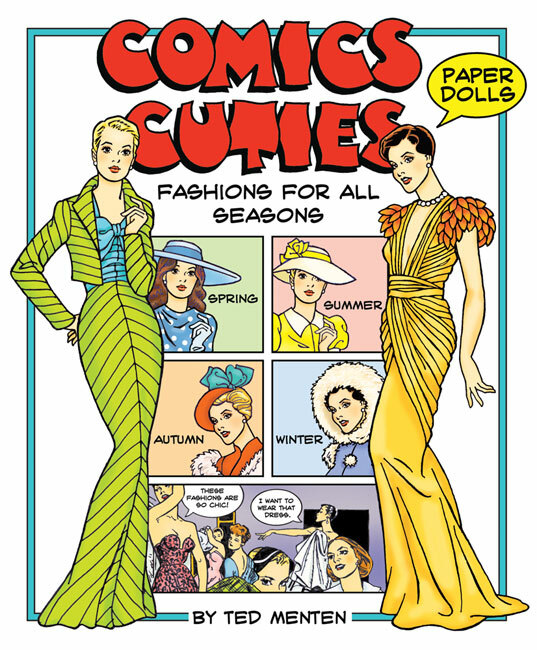 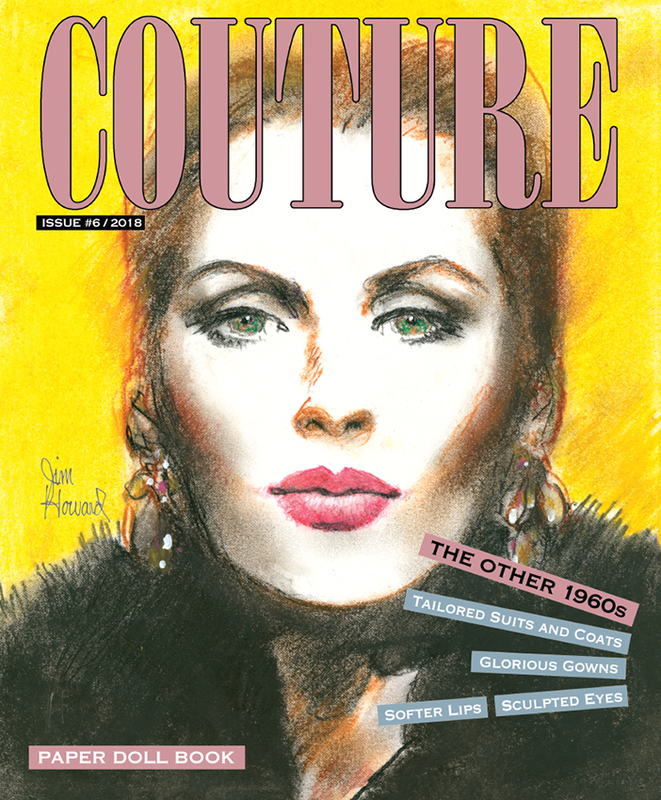 Artist Ted Menten, himself a comic artist in the past, has recreated the fun of bygone days with a two-doll book featuring a fashionable wardrobe of stylish creations inspired by the four seasons. 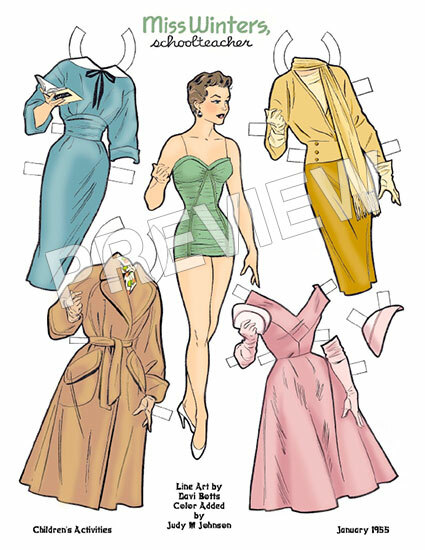 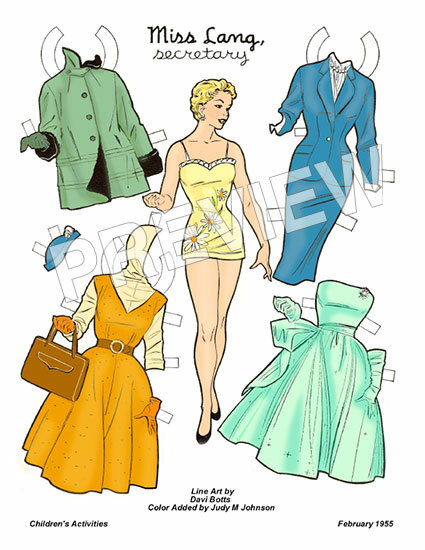 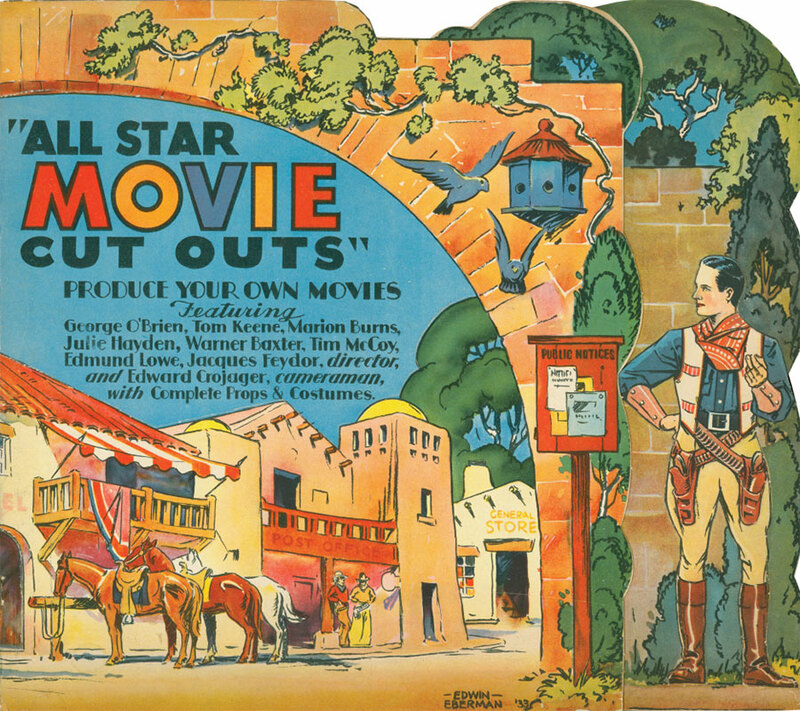 There are lots of glamorous clothes to cut-out for models Babs and Amy as you recall waiting until Dad finished reading the newspaper so you could have have the comics section with a paper doll such as Brenda Starr, Tillie the Toiler, Dixie Dugan and Mopsy Modes.